We have been embarked on an on going venture that we believe has produced something rich and significant. We know this because of what it has meant to us, first of all. So it has been no leap for us to believe strongly that it will have meaning to others. This note is part of a conversation relating to our book, Speak from Here to There: Two Poem Cycles. We want to be sure that as many people as possible have a chance to enter into this conversation, and we hope that it might lead to many other conversations. John lives in Australia and Kwame lives in the US. We, of course, get around. And so we are hopeful that we will arrive individually or as a pair in some place you might be. And if not, at least these poems, we hope will. These are difficult times throughout the world, and we both feel strongly impassioned to bring some of the ‘issues’ considered in these poems into artistic discourse as a way of hopefully encouraging positive change. Can poetry do this? Maybe, maybe not, but we feel compelled to try. I have never met John Kinsella. This conversation has happened largely because of the peculiar convenience of technology. In many ways, the tyranny of e-mail, its speed, its capacity to haunt and hunt us, and because of the manner in which it latches onto our obsessions and foibles, all of these things have made this project possible. 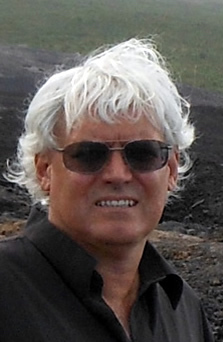 John and I are of an age and disposition that places us comfortably in the world without the remarkable connectivity of the Internet and wholly comfortable with much of what it offers. But our impulses as people of the book and of the word were shaped before the Internet. We grew up with letters, and with a heavy understanding of the dearness of long phone calls. I suspect that when we embarked on this exchange, we were simply upgrading our technology to accommodate essentially a letter exchange. I know that my obsession with a certain responsiveness to e-mails grows out of my weighing each e-mail in the same way that I weighed letters when they cost something in time and effort to get to me. I am convinced that the sticky humanity that holds together this exchange between John Kinsella and me is this idea of correspondence and the ways in which we have felt free to exercise so many facets of the poetic impulses that fascinate us, in our responses to each other. We connect because we share a similar unbounded sense of what it means to write quickly, obsessively, jubilantly and with confidence in our abilities. We are also aware of our own quirks, gimmicks, and tricks, and so recognize the impoliteness of relying on them in the face of an exchange that seeks, above all, to be sincere. We respect each other's craft, accomplishment, and seriousness about this art and the subjects we touch on, so we know that writing well is the decent thing to do, the right thing to do, just as much as keeping up is the same. I have known John’s work for a while, and I admire his writing, its volume, its responsibility, and its genius. I knew right away that I would be stretched by him and that I would enter a rich imagination and intellectual space that he has built around him. I would find out that range and complexity of his personal experiences as a human being living in this world would give even greater dimension to my own life. Simply put, John is brilliant, and I have gained from watching his brilliance unfold in poem after poem that he has sent to me. This exchange has pushed me as a poet, challenged me as thinker, and forced me (because of the pattern it quickly developed of being as fully rooted in the present moment as possible) to think deeply and with the pressure of language about this world, this historical time that we live in. Ultimately, John and I agree that we have grown as writers and as people because of this exchange. But we are people who believe that the poetic vocation is not merely an indulgent one, but one that must allow itself to be driven, guided, corrected, and enlarged by a sense of engagement, commitment, and community. We have written first to share with each other, and then to share with the world. I said I have never actually met John Kinsella, but this is not true. I have met him again and again and again, and I have been enriched by this encounter. This exchange has pushed me as a poet, challenged me as thinker and forced me (because of the pattern it quickly developed of being as fully rooted in the present moment as possible) to think deeply and with the pressure of language about this world, this historical time that we live in. 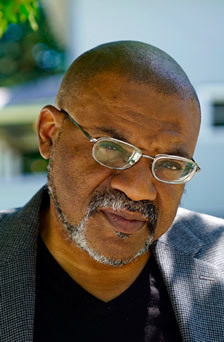 I had the good fortune to have lengthy email discussions with Kwame Dawes when he was preparing some of my poems for publication in Prairie Schooner. I found his input valuable, inspiring, and stimulating. From these discussions, and knowing his poetry, I thought we could create something poetically together that would open conversation out to others. Issues of identity, belonging, alienation, exclusion, privilege, vulnerability, home exile, wandering, the violence of authorities, the oppressions of a too frequently racist and bigoted world, a desire for a just response to suffering, the degradation of the natural world, the beauty of ‘insignificant’ moments, the momentousness of the ‘trivial’... all of these ‘issues’ and more drive us to dialogue through poems, to illuminate our respective worlds and lives, our witnessing of trouble and trauma, to create cycle of poems that articulate what is so often lost in the rapid-fire exchange of newspaper comments sections, or in angrily sent of responses on social media. Really, how to deal with issues of anger and frustration in dealing with the appalling wrongs committed by individuals and the state daily, the exploitations and indifference... how to deal with these and retain equanimity, the ability to find positives in an over-determined world. That’s the real purpose behind these exchanges of poems — to debate, discuss, share, and make sense of our own existences. There is dialogue. There is agreement. There is difference. There are angles on the same material. There is different material. Different ways of seeing a world where commonality reveals itself because it has to, because it is so. The language is so close but so very distant. It coalesces. From different spaces, different culturalities, there is the overlap of modernity, of travel, of sensibilities, of concerns about the 'state of things'. Such different places illuminated, made more different in the telling. But then a conversation about the nature of how and why respond to these places in the way we do. What we read. What our senses tell us. The right and wrong of it all. Collaboration. In our concerns for justice and equality, for respecting difference and creating points of contact, we discover the limitlessness of poetic perception. In responding, reacting, departing, exchanging, introducing the unexpected, we build a freedom of expression. Anything can be discussed, and such different life experiences come into play. And such different journeys - personally and socially. But always the points in common, which resonate and work as refrain through the growing works. Iterative works. We follow, we lead, we dwell. Each poem is another place in the house. Outside. A picture builds and we find secret passages, plants and animals we didn't know were there, new and old friends, the intensity of self focalised through family. The societies we are part of rejecting us in various ways. There are many ways of not belonging, which is never to demean or reduce the unbelonging that brings direct pain, attacks from society. The poem exchange is a search for a language of peace and mediation when language is violent and destructive and being deployed against minorities, traditional owners, the marginalised. We write statements against hate by showing how hate works, how it corrodes even the most beautiful. We look for a faith, a right to believe. We invite others to participate. To join the exchange. See the ground shifting under out feet and to ask why - what is necessary, what is not. What are our vested interests, how and why we should understand them. Comprehend others through comprehending ourselves. Consider the poem exchange as a means of conflict resolution. This is not 'just another book' of packaged product, of arts curious, of items for the delectation or opprobrium of the reader: it's a cascading set of possibilities, a realm of portals. Move in and out of the text. Argue with it. Maybe agree at points. Maybe empathise. Who are we? Why are we writing these poems, creating this chain of poems? These are questions worth asking. Why bother with poetry at all? Because it can bring change. It can open discussions too hard to open. It is not a war zone.